To bring happiness and help improve the quality of life through music and music education. To contribute and be responsible to the communities in which we serve. To promote and support music education. Steinert & Sons was founded in 1860 by Morris Steinert. Steinert was born in Bavaria in 1831 and emigrated to New York City in 1850. He brought with him a craft for making eye glasses and optical goods which he learned from an uncle; a musical proficiency in piano, organ and violin, which he learned at a monastery in his home town; and ten francs. He began his career in America selling optical goods door-to-door with limited success due to his lack of English. To make ends meet, he joined a traveling minstrel troupe as a violinist. This took him through Connecticut, New York state, and as far west as Cincinnati. He briefly settled in Baltimore and tried teaching music but couldn’t get enough students to make a living. G. Schirmer, the famed music publisher, recommended him for a job as a clerk in a retail music store in Savannah, Georgia. Steinert took the job at $600 per year. This was a full-line store and Morris’s duties included selling and repairing pianos, violins, accordions, banjos and guitars. The owner, Mr. Berg, introduced him to the Whitaker Square Baptist Church where he was hired as the organist at an additional $300. Comfortably settled, Morris sent for his fiancé, Caroline Dreyfuss, in New York and they were married in Savannah in January, 1857. Ms. Dreyfuss brought with her a dowry of $25. In 1860 Morris accepted a job as organist in the Episcopal Church in Athens, Georgia. Once again, the family, now with a daughter, Heloise, moved. Within the year, Morris opened a piano shop with William Talmedge, an Athens jeweler, as his financial partner. He became well-connected with the upper class in Athens through teaching the daughters of the wealthy and as a piano performer. After one performance, he was presented with a silver tea service by Alexander Hamilton-Stephens, Vice President of the Confederacy. His son, Alexander Steinert, was born Mar. 14, 1861, less than a month before the first shots of the Civil War were fired on Fort Sumpter. Morris’s business went into decline as the entire South became caught up in the war. He was forced to either fight against the Union or leave. He chose to leave and took his family by train and wagon to New York leaving most of his possessions behind. Unable to find work in New York, the family moved to Caroline’s sister’s home in New Haven. Morris became a substitute church organist at $100 per year and began teaching a few students. Later, he took a job as music teacher at the Episcopal Academy in Cheshire and Caroline was appointed French teacher at the same school. 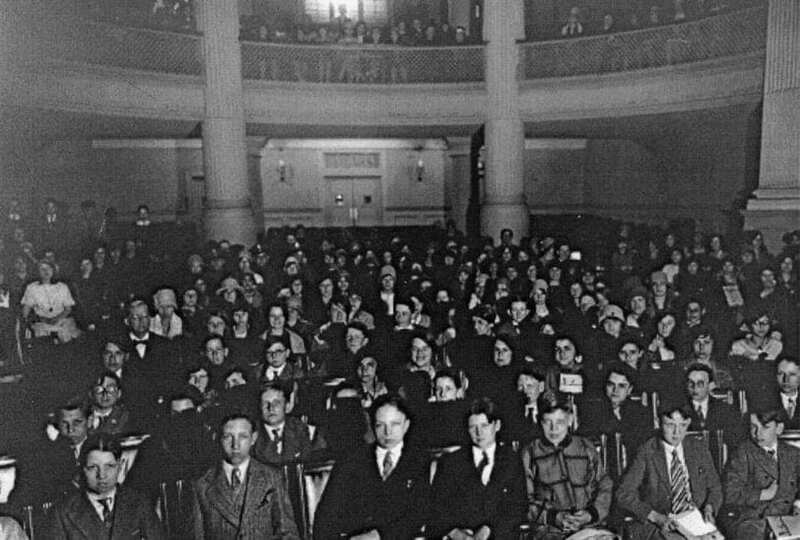 Joining with students from Yale, Morris began performing in trios and quartets in Bull’s piano store on Chapel St. in New Haven. 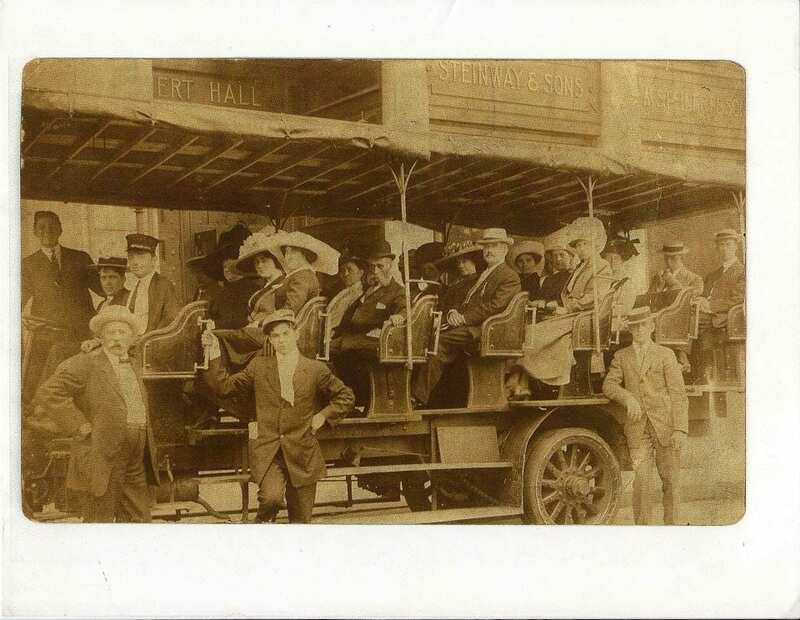 Eventually he brought in more musicians and founded the Steinert Family Orchestra, which eventually became the New Haven Symphony. While Steinert was exhausting great energy in musical endeavors, teaching and performing, he was earning very little and his wife suggested that he should change careers in order to receive better pay for his efforts. Taking this to heart, he decided to open a retail store selling hoop-skirts. After renting the store but before he started the business, he realized that hoop-skirts were out of fashion. Committed to the store, which the landlord built for him on Grand Ave., Steinert opened it as a music store stocking it with several used fiddles and two used pianos. Morris found that he was unable to acquire a line of new pianos so, as business improved, he joined with Mathushek and began building pianos in New Haven in 1865. Without manufacturing or distributing experience, this venture was short-lived and the factory was sold at a loss. At this point, Morris began visiting Steinway & Sons in New York, soliciting their agency. He was refused three times. But on the fourth try, he brought his wife who so impressed the Steinways (“The House of the Barons,” as Morris called them; all other manufacturers were Plebeians) that he was granted the agency on Sept. 14, 1869. In 1878, Morris, now the father of nine and in need of greater income, took his sons Henry, 19, and Alexander, 17, into his business and rented a store in Providence, R.I. for $3,000 per year. Encouraged by success in Providence, he looked toward the “Hub,” Boston, where, in 1880, he opened a Steinert store, placing Alexander in charge with his younger brother, Frederick to assist. Subsequently, he opened Steinert stores in most major New England cities employing his seven sons in the business. He then headed west to Cincinnati sending Henry and William to open a store and leaving Edward in charge of Providence. The Cincinnati store was not a success since Steinway, the major brand, did not command the same loyalty as it did in the east and the store was sold to D. H. Baldwin after only two years. The headquarters of the company was moved to Boston in 1883 when son Alexander took charge. 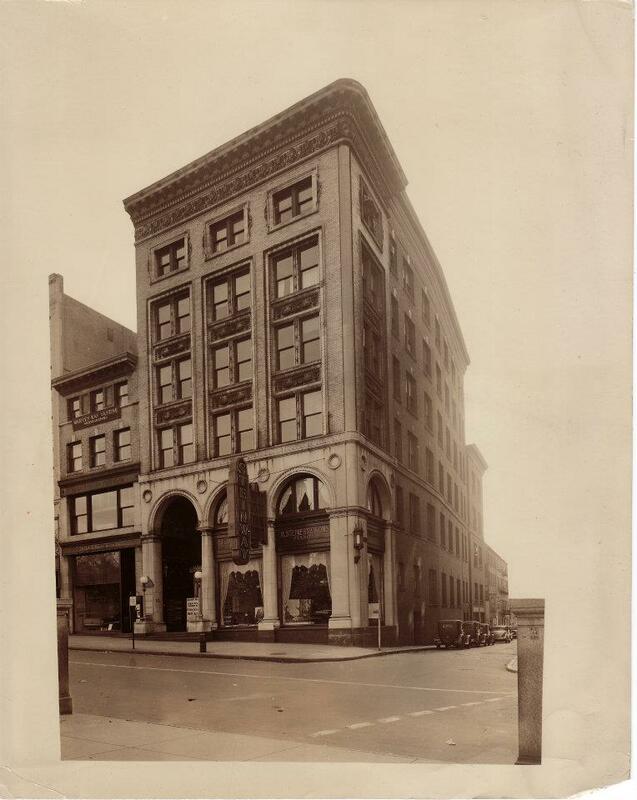 In 1896 Steinert Hall was built at 162 Boylston St., opening on Dec. 16, 1896. Jerome F. Murphy was born in 1880 in Stoughton, Massachusetts, to Irish immigrants Cornelius and Hanna (Cotter) Murphy. His father, a teamster, started the Murphy Coal and Ice Company after the mill in which he was foreman was closed in the recession of 1892. Jerome, one of fourteen brothers and sisters, saw little room for himself in the family business and looked to Boston and business school for his future. In 1897, Alexander Steinert called the Bryant & Stratton Business School, Jerome’s alma mater, and asked them to send their brightest young bookkeeper for an opening in the Boston store. Jerome F. Murphy, 16, answered the call and started at the Steinert office on January 14, 1897 at a salary of $6.00 per week. In 1901 Steinert reentered the business of manufacturing pianos primarily to prove the efficacy of the Steinertone piano; a piano made with Morris’s own unique design of action. In 1903 the patriarch of the Woodbury piano company of Leominster died. His son, who was the fire chief in that city, did not want to continue in the business and sold it to Steinert. At that time three of the “plebeian” manufacturers who Steinert represented exclusively were pressing Steinert for greater sales. With the Woodbury purchase, Alexander could make his own pianos and so resigned as agent for the three piano makers and subsequently competed with them nationally. 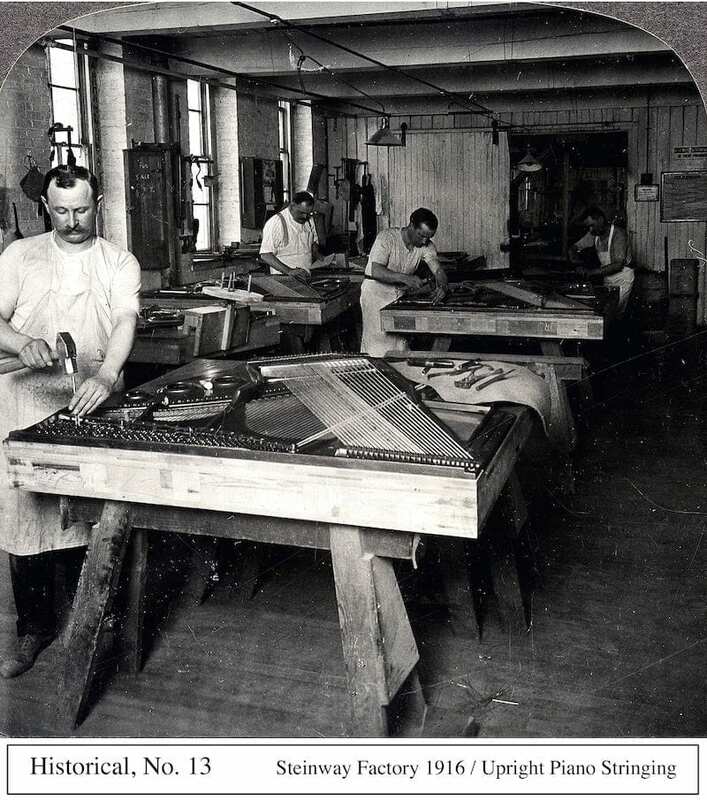 Also in 1903 Steinert bought the Jewett piano factory in Leominster and began manufacturing a full line of grand pianos in six sizes from baby to concert grand. To appease the concerns of the “Barons” at Steinway & Sons, Steinert did not use the name Steinert on these pianos, instead calling them A.M.Hume after Archibald Hume, Steinert’s general manager. The company also made pianos under the brands Woodbury, Jewett, Curtis (named for the Curtis Hotel in Lenox where Morris Steinert spent summer vacations), and Berkshire as well as “stencil” brands for dealers across the U.S. At this time the company offered reed and pipe organs as well as pianos. Morris Steinert died in 1912 leaving the thriving business to his sons with Alexander in charge. In 1916, Jerome Murphy, then Assistant Treasurer of the Steinert firm, made a surprise audit of the Steinert (nee Jewett) and Woodbury factories in Leominster. The audit found these divisions to be short $25,000, and it was determined that Archie Hume had taken the money to finance his own plan to acquire the Steinway franchise, taking it away from Steinert. Hume was fired, returned some of the funds to avoid jail, and the Steinways allowed Steinert to change the name of the Hume piano to the Steinert piano. Jerome Murphy was soon appointed General Manager and the company continued to prosper with as many as forty-two stores in New England and New York, as well as the two factories in Leominster. Several of the next generation of Steinerts joined the firm during these years, including Alexander’s sons Russell, Robert and Alan. With the advent of the Victrola, Steinert started the Eastern Talking Machine Company (ca.1916), later Eastco, to distribute these early record players in New England and became the exclusive distributor for RCA Victor in the region. Eastco also distributed radios in the 1920s which proved to be an excellent hedge against the decline of player-piano sales. At the time, player pianos were a significant part of the Steinert company’s retail sales although the company never manufactured player pianos. However, even radio and Victrola sales could not help to offset the devastation the company experienced following the Wall Street crash of 1929. At this time the company found itself losing money on all fronts. In order to survive the company began buying back leases, closing stores, and generally tightening its corporate belt. In 1932 the factories ceased operation and the properties were sold. Alexander died in 1933 at the age of 72 leaving the company insolvent. Several years earlier, Russell Steinert, his heir-apparent, had broken his neck in a diving accident at the family’s summer home in Beverly Farms and died two days later. In 1934, faced with foreclosure, Jerome Murphy, with partners Robert Steinert and Alfred (Jed) Prouty, the Springfield store manager, acquired the assets of the company from three major Boston banks. A new, leaner company emerged with a concentration on retail piano sales. Gone were thirty-nine of the forty-two stores as well as the two factories. But the company survived. In 1935, Steinert became the second Hammond Organ dealer in the country. This new, relatively inexpensive organ sold extremely well under the direction of Jerome Murphy, Jr., a trained organist and pianist who had joined his father in the firm in 1932. In 1936 Robert Steinert sold his interest in the Steinert company to Jerome Murphy who, in turn, sold his interest in Eastco to Robert. In 1938 Paul E. Murphy, Jerome Jr.’s younger brother, joined the firm. Paul, a Harvard-educated lawyer, shared his father’s solid business sense which complemented his brother’s musical abilities. Between 1934 and 1941 two major factors contributed to the success of the newly reorganized company; the Hammond Organ, and the 1936 introduction of the model S (5’1″) Steinway grand at a retail price of $895. During the war years, Jerome, Jr. served in the Army and Paul in the Navy, as Jerome, Sr. ran the day-to-day operation of M. Steinert & Sons. He also became the first “outsider” to be elected a director of Steinway & Sons. After the war the company expanded its radio and phonograph sales and also began selling televisions in 1947; Jerome Murphy, Sr.’s fiftieth anniversary with M. Steinert & Sons. There was a strong demand for all the products the company sold and a new store was opened in Wellesley Hills. However, shopping habits dictated that major purchases be made in downtown stores and the suburban branch was closed in the mid-1950’s. Jerome Murphy, Sr. died in 1961, leaving the company in the hands of Jerome, Jr. and Paul. Jerome, Jr. died in 1975 and Paul died in 1988. Two sons of Paul Murphy continue the family tradition. Paul Murphy, Jr. came aboard in 1969 and Jerome Murphy III joined in 1978. A fourth generation of the Murphy family, Brendan Murphy (Paul, Jr.’s son) entered the family business in 1999 and became the company’s Director of Institutional Sales in 2006. Today M. Steinert & Sons conducts business from the oldest existing music store in the U.S., Boston’s Steinert Hall, the home of the firm since Alexander Steinert had it built in 1896, and from a second showroom in Natick, Massachusetts. The current product line includes acoustic pianos by Steinway, Boston, Essex, digital pianos by Roland, and piano playing systems by Piano Disc, QRS and Steinway-Spirio. M. Steinert & Sons is the second oldest Steinway dealer in the world. 2010 was a significant year for M. Steinert & Sons, marking 150 years since the company’s founding by Morris Steinert, and 113 years of its affiliation with the Murphy family.